Not to rain on the parade, but this looks more like a engineering mock-up, than a technology that will be released by 2020. 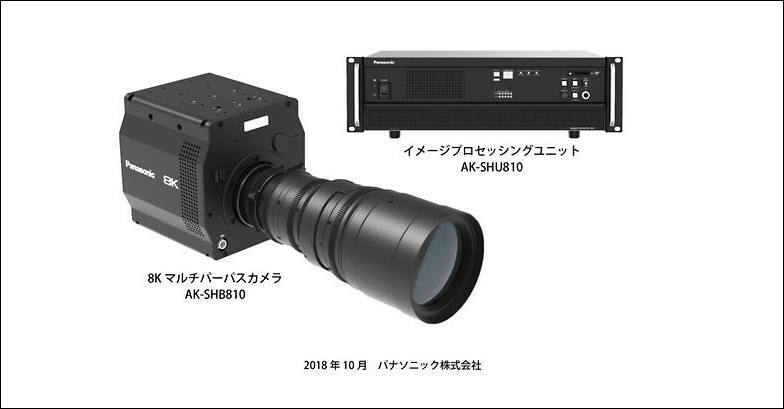 NHK will be transmitting by December 1st this year, with their 8k Camera system. Interesting--is that a Panny sensor, Sony or ? Here they just showed why all the fuss around such sensors. Only question remains now if smartphone users will pay for further progress, it can be, as last generation of phones start to add 3 or 4 cameras, running out of options. Now, that said, I also don't see 8K raw being on the horizon either for < $15k. Most probably have to wait for the BMPCC8K for that one! :-) And that will probably happen after 2020. Quite frankly, I don't see the reason for 8K transmission. Apart from Cinema release, even 4K TV's are a gimmick unless one has a netflix subscription. 8K just lets the editor / compositor / VFX person punch in. Smartphones will get 8K next year. I saw that. Do you think that GH6 will maintain the M43 mount? Considering the Panasonic investment in the new L-mount, I think that the GH6 would make a swap to the newer system. The gear is there to do a job, and one just gets (or rents) what does the job now. It is much, much simpler to make good 8K video sensor for m43 compared to FF. Yes, DR will have issues. But the larger the sensor is - the harder is to make high frequency stuff required for video. There are already widely used 20-megapixel 1-inch sensors with decent image quality using existing BSI technology, such as the one used in the Sony RX10 and RX100. This is just a bit below the 13 stop rating they have for the sensor on the GH5. Micro 4/3 is almost double the sensor area of a 1-inch type sensor, so a 33-megapixel sensor (needed for 8K) should be achievable with similar size photosites as existing 20-megapixel 1-inch sensors. Shouldn't require dramatically new technology to achieve this.